The European Parliament approved the law on Thursday, meaning it will come into effect once EU states have given it the final sign-off. The final draft includes the description of Gibraltar as a “colony of the British Crown” in a footnote. It was backed by a parliamentary committee on Wednesday, after the British MEP piloting its passage through the assembly was replaced. Labour’s Claude Moraes had criticised the description, calling it “opportunistic” and “unnecessary”. His replacement, Bulgarian MEP Sergei Stanishev, also criticised EU states’ insistence on the term, which he described as “irresponsible”. 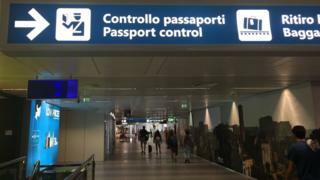 But he said the European Parliament also wanted to avoid the need to re-introduce visas, which he said would cause “chaos” for British and EU citizens.